To make the development process more efficient, it is essential to circulate knowledge and experience acquired both globally and locally among all relevant stakeholders. Thanks to our professionalism, we are a valued partner of political, public, civil society, scientific and private institutions. Furthermore, our organisational structure—with regional offices in Africa, Las Américas and across Asia—enables us to integrate and mobilise existing experience, research knowledge and expertise from municipalities, application-oriented science, and expert associations worldwide. 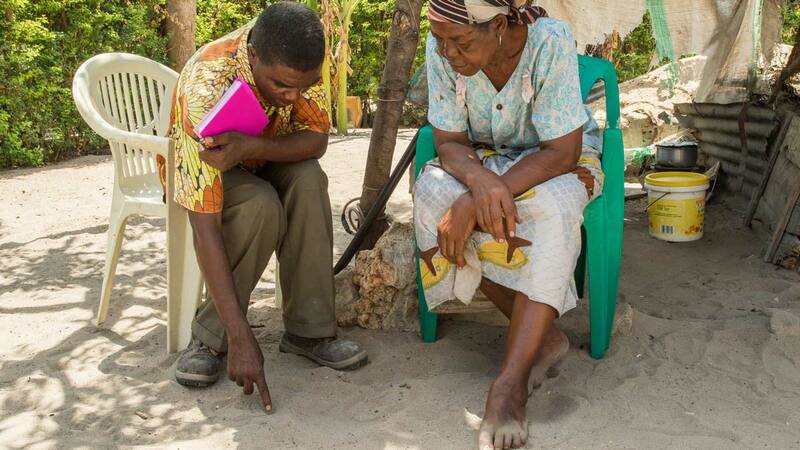 In the field of sanitation, it is clear that we can make a real difference. 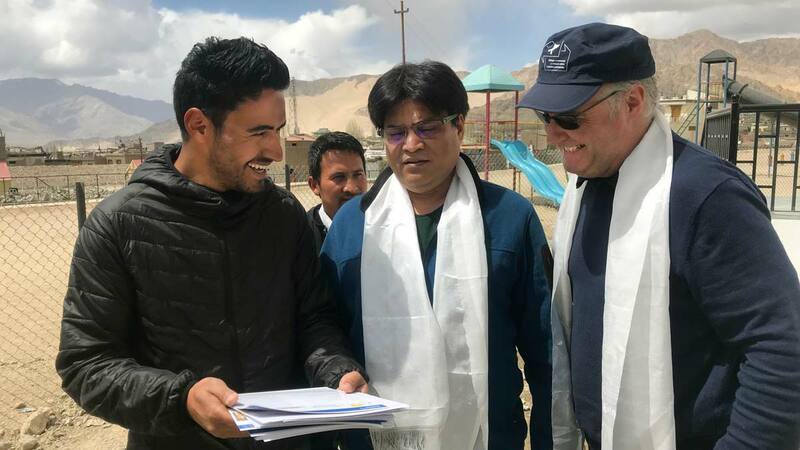 As an honest broker, not committed to any particular interest group, BORDA finances its work in partnership with local, national, and international public and private actors. 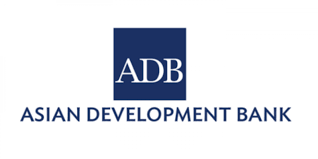 These partnerships are built on the principles of trust, transparency, expert competence, and professional administration, and tangible proof that our efforts improve people’s lives and contribute to better living conditions in more and more places. 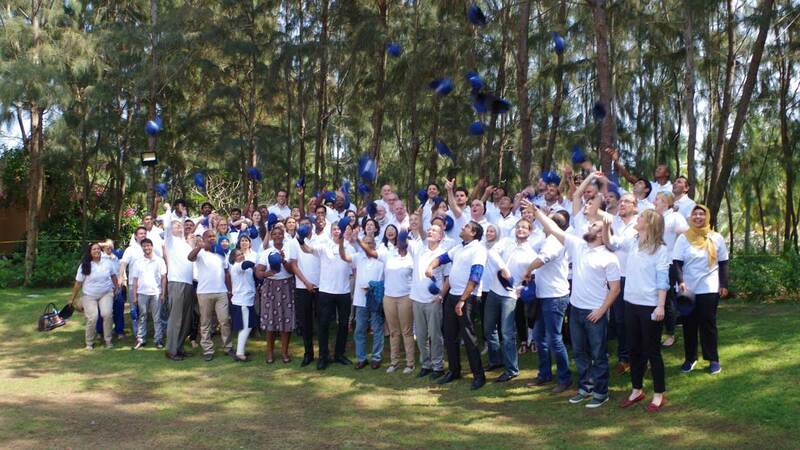 BORDA sees itself as part of an international network striving towards the realisation of SDG 6 with a high degree of expertise and commitment. The challenges of the future are huge—more and more people in growing cities and settlements will need access to basic services. 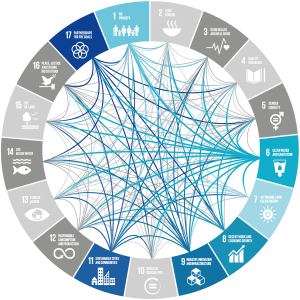 To meet this challenge and reach the Sustainable Development Goals (SDGs), BORDA cooperates with numerous actors on different levels and across sectors. Depending on the country and local circumstances, BORDA collaborates with international organisations and networks, national ministries, private enterprises, municipalities, service providers, universities, civic groups, and local communities. BORDA engages in R&D through collaborations with research institutes and universities that are active in similar areas and provide research support for several BORDA projects. 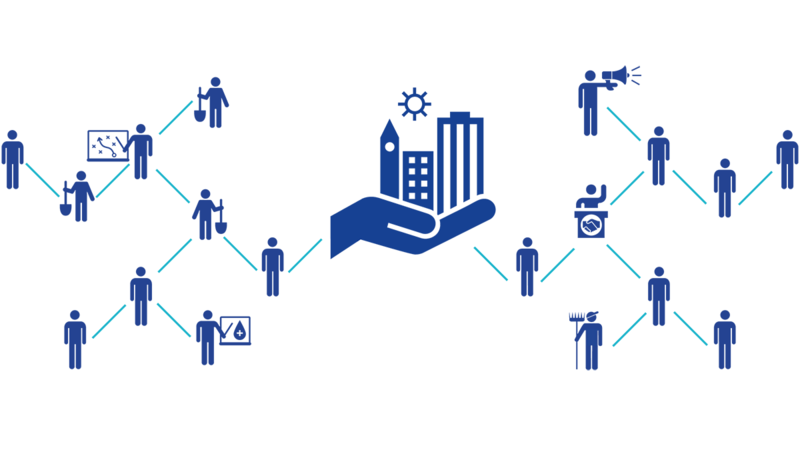 BORDA implements numerous projects in cooperation with a broad network of 100 local partner organisations around the world – the Basic Needs Services (BNS) partner network. Our partners on-site know best how to successfully realise projects in ways that respect the social, political and economic contexts of local communities. We offer our BNS partners expertise and support to ensure that our projects are efficiently implemented and sustainable for local operators. Our work and our success are built on the generous support of our financial partners. From the beginning, BORDA has received funding from national and international public institutions as well as private organisations, and over the years a profound mutual confidence has developed. A core BORDA value is to always use public funding and private donations in a transparent and verifiable manner. Based on our experience and know-how, we have been able to significantly extend our global projects during the past five years and at the same time also double our funding. We are very grateful to our financial partners and deeply appreciate their support. For detailed information on BORDA’s balance sheet for 2016, please download our 2016-2017 annual report (7MB PDF). 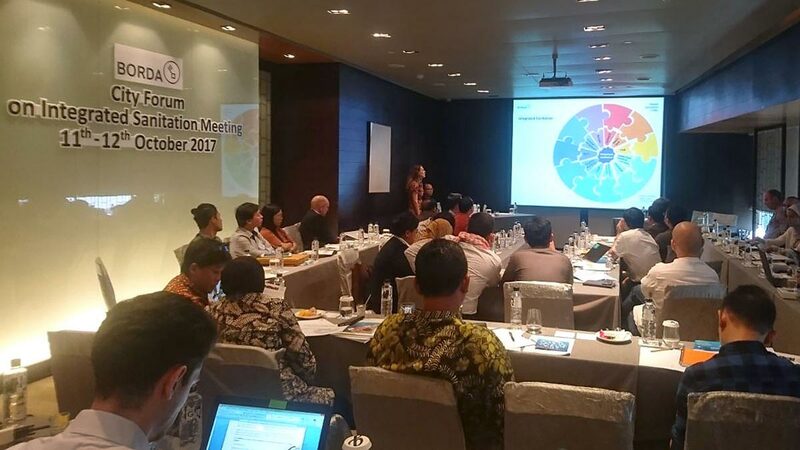 People-Sanitation-Cities—an international alliance for exchange and promotion—is a remarkable accomplishment that will enable its members to engage in the closer exchanges that are essential to the realisation of liveable and water-wise cities. People-Sanitation-Cities is an interest group of partner cities focussed on implementing system solutions for the management of urban waters. Its mission is to promote “Essential Public Services for All” as a contribution to the realisation of the SDGs and the New Urban Agenda. 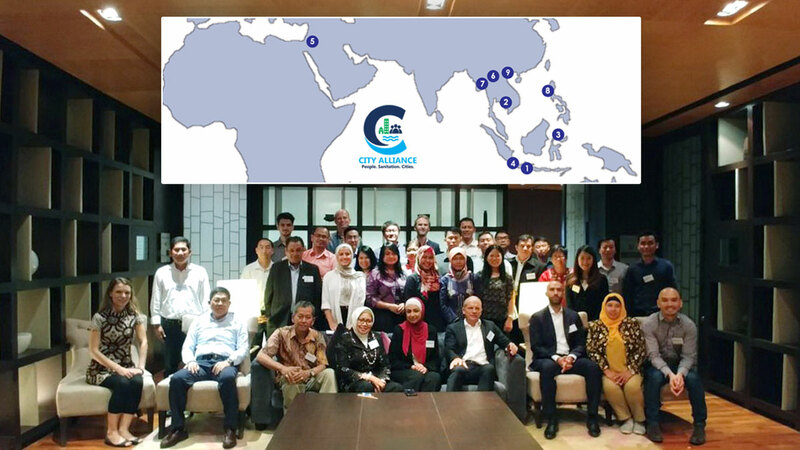 The alliance’s vision is to strengthen cities’ capacity to implement sustainable system solutions with a particular focus on polycentric urban planning processes encompassing water, wastewater, solid waste and faecal sludge management. 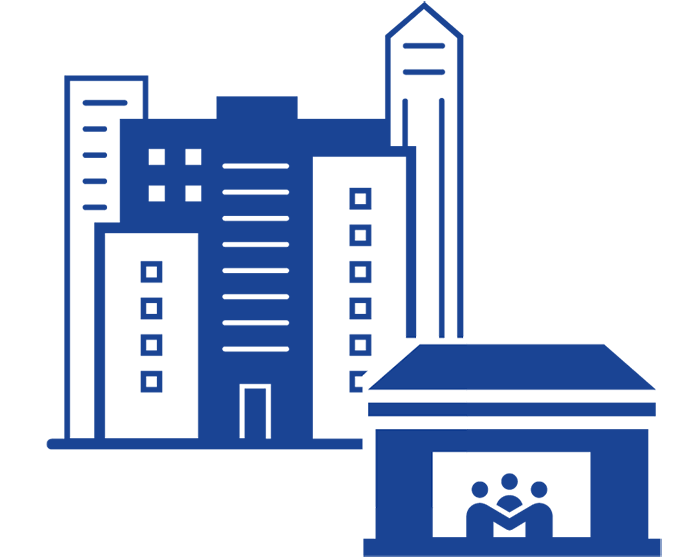 The alliance’s main objectives are to form an internationally linked community of practice on integrated sanitation, establish a knowledge hub and exchange network, and lobby stakeholders to promote the interests of cities in the area of integrated sanitation. People-Sanitation-Cities, supported by BORDA as facilitator, includes the municipalities of Sleman (Indonesia), Bitung (Indonesia), South Tangerang (Indonesia), Sahab (Jordan), Yangon (Myanmar), Bauang (Philippines), Bac Ninh (Vietnam) as well as Kratie Province (Cambodia) and Luang Namtha Province (Laos). 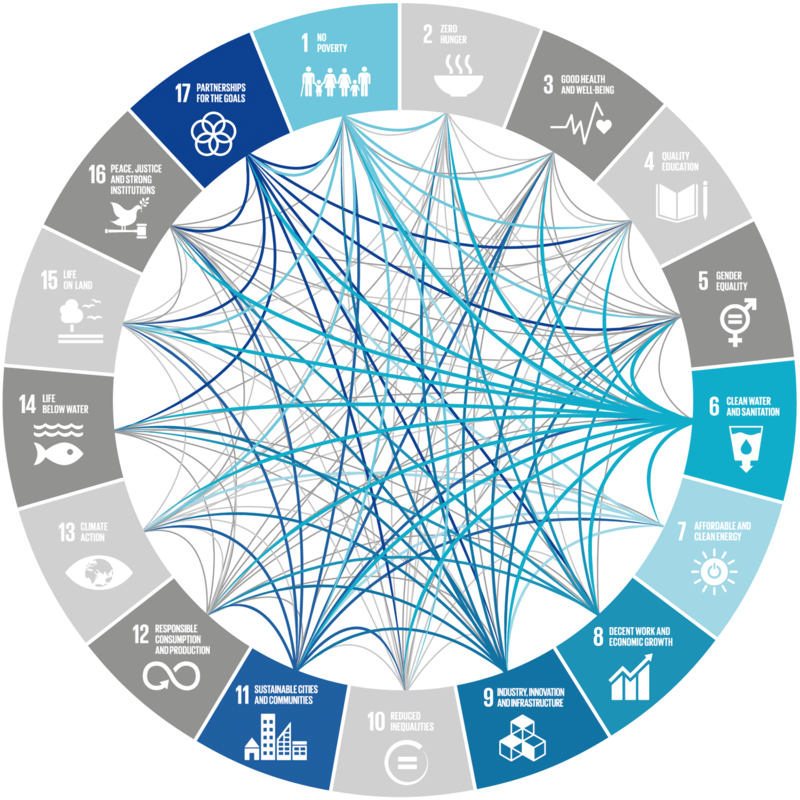 Realising the Sustainable Development Goals (SDGs) on the ground across the globe is not only the responsibility of governments and civil society—it also requires private-sector engagement. For us at BORDA, it is as essential to works closely not only with public authorities (and public funding sources), but also with private-sector organisations (and private financing). There is simply no other way to effect change on the massive scale that is required to make communities liveable for all, around the world. Our private-sector engagement isn’t only about financing and service provision. We support the development of public-private partnerships and sanitation entrepreneurship, and we continuously examine private-sector methods for application to our approaches. The aim: accelerating the achievement of higher-level, non-profit-oriented goals and increasing the impact of our work. The Blue Water Company (BWC), an India-based business born out of the work of BORDA and CDD Society in South Asia, has emerged to provide private-sector support to governments that invest in FSM projects. Through service contracts, public-private partnerships and independent FSM services, BWC aims to deliver end-to-end FSM operations and management that is technology-enabled, customer-centred, effective and reliable. Leh (pop. 31,000) is a Himalayan high-desert city with an altitude of 12,000 feet and an extreme climate ranging from –30°C to +35°C. The region is feeling the impact of climate change, with water scarcity becoming a pressing concern. 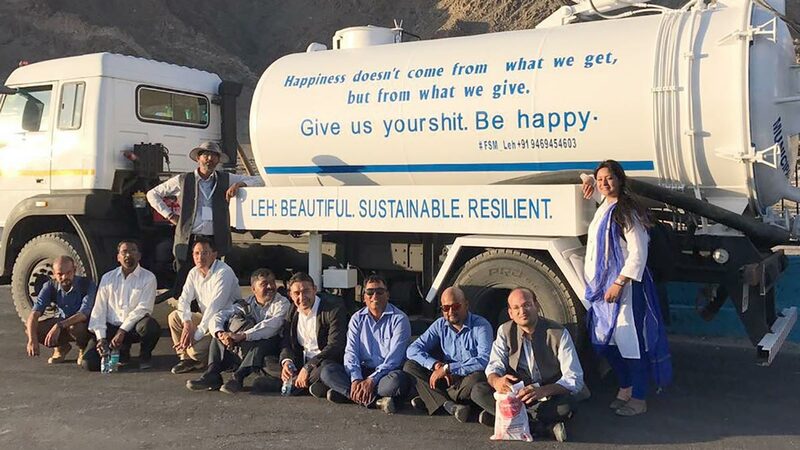 After building consensus and agreement on the need for a faecal sludge management (FSM) solution, BORDA helped the Municipal Committee of Leh to structure a first-in-India public-private partnership for turnkey design, construction, set-up and operations of city-wide FSM services (DBOT). The treatment plant was designed and built in a record 44 days as a result of close cooperation between the municipality, BORDA, CDD Society and the Blue Water Company. 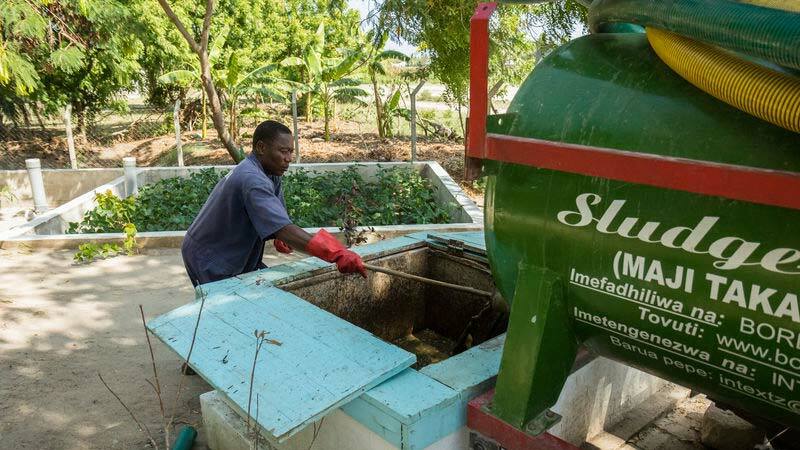 Sludge-Go is a successful business connecting pits, tanks and treatment in Tanzania’s largest city, Dar es Salaam. In the city’s tightly packed neighbourhoods, workers arrive “on demand” at homes to pump empty the pit latrines and tanks. 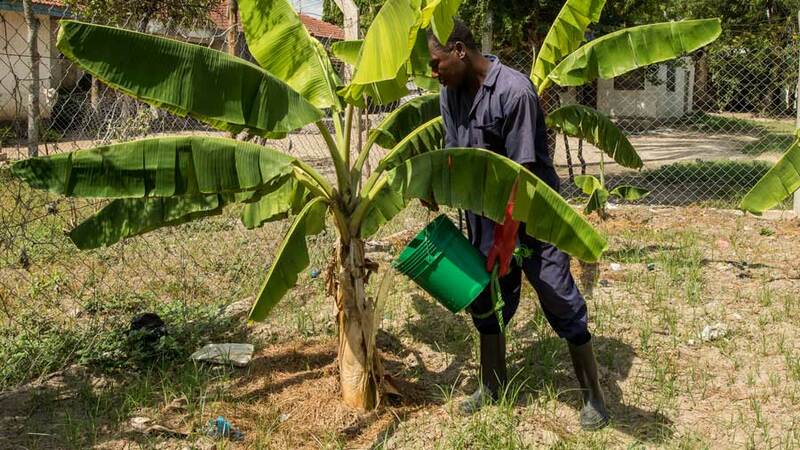 The treated sludge is sold as fertiliser; the treated water is used to irrigate a banana plantation. Making all this possible: Sludge-Go’s small tractors that can navigate the narrow streets to reach people where they live—a technologically adaptive approach for a fast-growing East African city. The goal is to develop, prove, and promote a financially viable technology for small entrepreneurs in the sludge collection service sector. 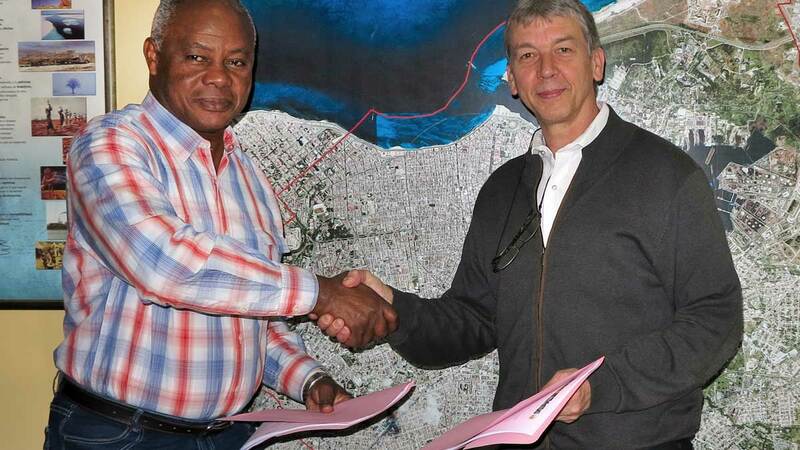 Furthermore, we hope that these solutions focusing on poor peri-urban areas trigger further investments in the sector. BORDA is a partner in INNOQUA, a European project funded through the EU’s competitive Horizon 2020 research and innovation programme. 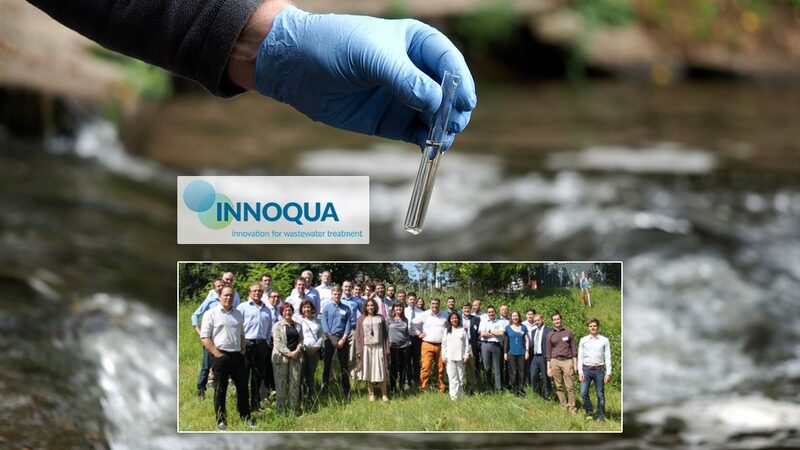 The INNOQUA consortium comprises 20 partners, drawn from 11 countries, who are collaborating on innovative bio-based technology to answer the growing need for the protection and improvement of natural water resources. 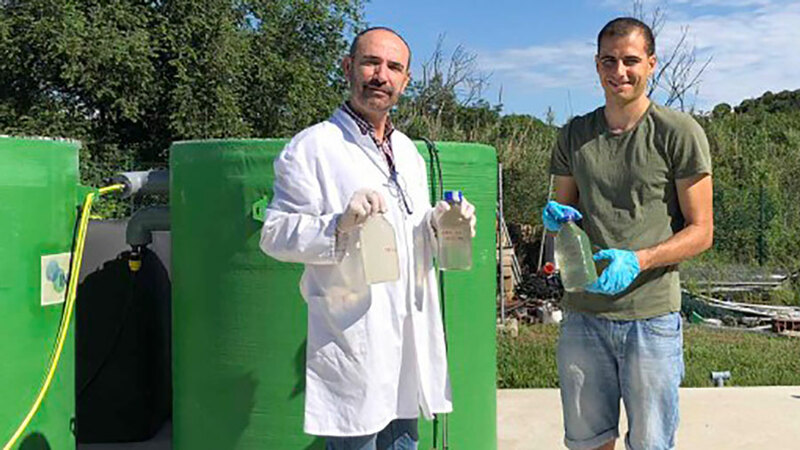 increase sustainability in the water sector through the optimised environmental performance (reduced water consumption, increased resource efficiency, reduced carbon footprint) of a socially accepted and affordable wastewater treatment system. INNOQUA is an innovative, patent protected, award winning, adaptable, scalable, fully ecological sanitation solution. 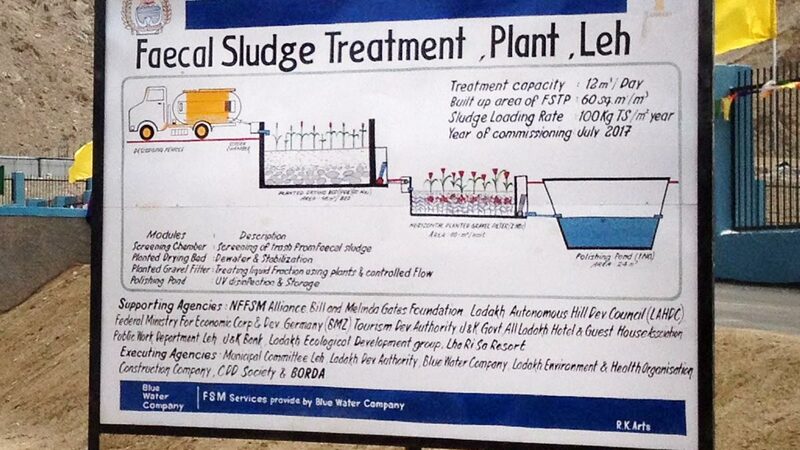 This type of integrated solution for wastewater treatment has not been employed before.